How often have you browsed the internet and been annoyed at the constant online ads, popups and other disruptions that continue to disrupt your browsing experience? The last thing we want is annoying pictures and advertisements with sound to pop up when we’re just enjoying a video and sitting around waiting for a video to start can get frustrating. That’s where ad blockers can help and drastically improve our browsing experience. But what exactly should you look for in an ad blocker and how do you tell if it’s legitimate, working and actually improving your browsing experience? In this article, we’re going to explore a couple of these points to help you find the best ad blocker. Because they’re frustrating to deal with, they interrupt our browsing experience and even be potentially harmful! Many online advertisements are from fake websites and services that are simply attempting to get your money, passwords or other details. These are commonly known as phishing attempts and can be very tricky to avoid because they look very close to the websites they’re attempting to imitate. Advanced ad blockers such as AdLock can help you protect your personal data from phishing attempts and spyware and will actively warn you when advertisements are trying to do something illicit so you can avoid them in the future. Online ads are also very frustrating to deal with and can appear in a number of programs–they don’t just ruin your browser! For instance, Skype is a commonly-used program that features ads inside the program which will not only ruin the performance of your computer but can be frustrating to see when you just want to send your friends or family members a message. Blocking ads can also improve your browsing experience in a number of different ways. For starters, you can speed up the loading of your websites because you don’t need to load ads that play annoying sounds or videos, and you’ll be protected from suspicious websites thanks to the built-in capabilities of AdLock. In short, removing and blocking online ads is safer, faster and makes your online experience more enjoyable. AdLock is one of the most advanced ad blockers for Windows and for a number of different reasons. It’s one of the few ad block programs for Windows that goes beyond just blocking website ads and even works for in-program ads such as Skype and torrent programs. This means that you’ll be ad free no matter what you do on your computer and you’ll have a safer, faster and better experience overall. 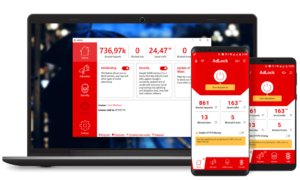 AdLock even works for Android and just the browser, meaning that no matter which device you use, you can be protected from malicious advertisements and annoying spam messages. 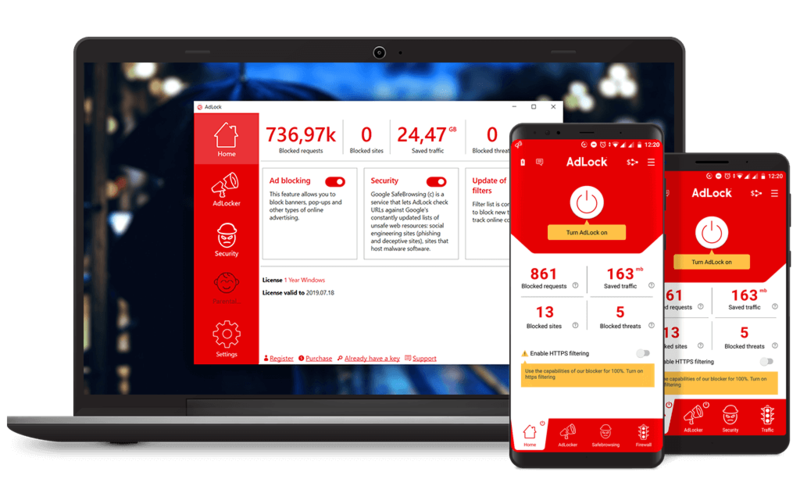 So if you’re looking for the best ad blocker around, consider looking into AdLock, one of the only high-quality ad blockers that can protect you against every threat and annoyance on the internet.